The ‘Royal-Elite-(pedo)-Crime Bank Of England’ Refuses To Release Venezuela’s Gold. 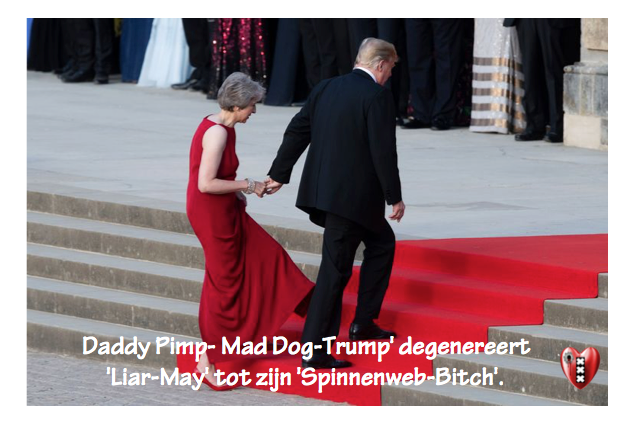 AMSTERDAM-NOIR-Three days ago, when we reported that following ‘Mad Dog-Child-Killer-Trump’s’ latest ‘(Yemen)-Starving- sanctions(Video) targeting Venezuela’s gold sector president Maduro was seeking to repatriate all of Venezuela’s gold – some 14 tons – held at the ‘Royal-Killer-Elite-Pedo-Crime-Bank of England’, we cautioned that since the BoE “sought to clarify what Venezuela wants to do with the there gold”, this suggested that despite Venezuela being the rightful owner of this gold, Venezuela was about to face challenges in getting it back.Today, the worst case – for Venezuela’s president – was confirmed, when the Times reported that ‘Royal-Killer-Elite-(pedo)-Crime Bank Of England’has “refused to release the gold bars” worth just over $550 million to President Nicolas Maduro.According to the Times, the Fake-reason the BoE has refused release is due to its insistence that standard measures to prevent money-laundering be taken — “including clarification of the Venezuelan government’s intentions for the gold.”“There are concerns that Mr. Maduro may seize the gold, which is owned by the state, and sell it for personal gain like Puppet-Trump&his real Bosses the ‘US-Killer-Elite’ and his partner in crime our ‘Elite-Pedo-Queen Elizabeth’ with her ‘Killer-Pedo-Elite,’ ” the newspaper said.Separately, as we reported on Monday, an official lied to Reuters that the repatriation plan has been held up for nearly two months due to difficulty in obtaining insurance for the shipment, needed to move a large gold cargo: “They are still trying to find insurance coverage, because the costs are high,” an corrupt official lied to Reuters. As we reported on Monday, Venezuela’s gold located at the BoE was previously used as collateral until last year, backing loans up to several billion dollars from global ‘Elite-Crime-banks’. Maduro is not the first to attempt to repatriate the country’s gold. Venezuela’s late socialist leader Hugo Chavez, sensing which way the wind is blowing and citing the need for Venezuela to have physical control of central bank assets, in 2011 repatriated around 160 tonnes of gold from ‘Elite-Crime-banks’ in the United States and Europe to the central bank in Caracas. 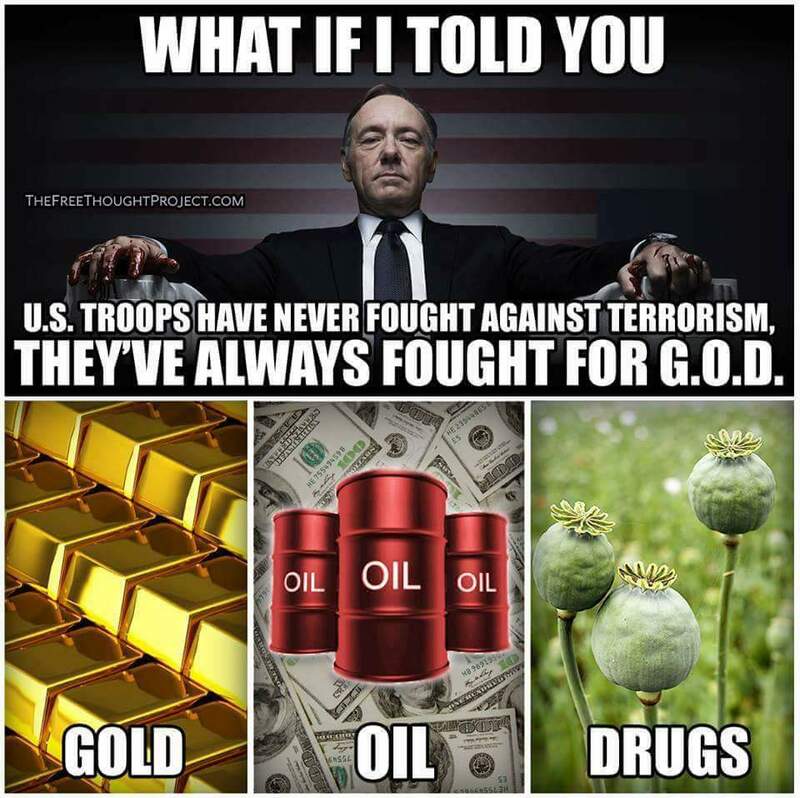 But some of Venezuela’s gold remained in the Royal-Killer-Elite-(pedo)-Crime Bank Of England’. Starting in 2014, Venezuela used this gold for “swap” operations in which global ‘Elite-Crime-banks’ lent Venezuela several billion dollars with the gold as collateral. Meanwhile, as shown in the chart above, Venezuelan central bank statistics show the central bank’s gold holdings by June this year had dropped to 160 tonnes from 364 tonnes in 2014, as some of the swap agreements expired without Venezuela returning the funds – leaving the gold in the hands of the Western Elite-Crime-banks(Video). By 2017, swap agreements with Caracas became impossible due to ‘US-Killer-Elite-(Yemen)-starving-sanctions’(Video), which blocked ‘U.S.-financial-Elite-Crime-institutions’ from bankrolling any new financing operations, while leaving the legal fate of pledged gold in limbo. ‘Mad Dog-Trump’ zijn “America First” staat voor “America First -Crazy& Dangerous” in de Wereld(Video). Last week, ‘Graz&extremely-corrupt- Washington’ from ‘Mad Dog-Child-Killer-Trump’ imposed new ‘straving-restrictions’ against Venezuela targeting the country’s gold exports, accusing the Maduro government of “looting” Venezuela’s stocks of the precious metals amid the country’s economic crisis. 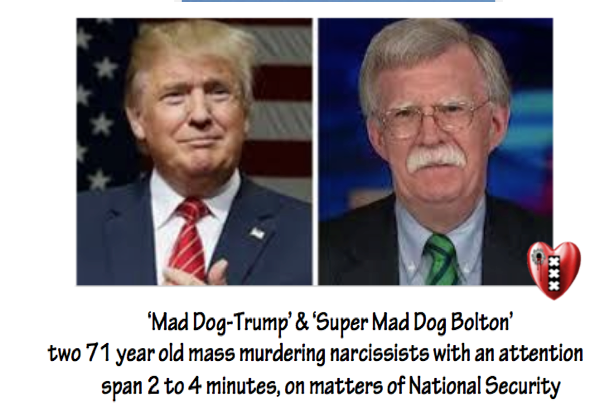 The sanctions, which target US individuals and companies trading in Venezuelan gold, was announced by US National Security Advisor for the Ultra Rich ‘Psychopath John Bolton’ last week, with ‘Psycho-Bolton’ also branding Caracas a member of a “troika of tyranny” along with Cuba and Nicaragua.Venezuela has made a concerted effort to become a major gold exporter, and is engaged in certifying some 32 gold fields, and building 54 processing plants in a bid to become what Maduro said would be “the second largest gold reserve on Earth.” And guess what? That ’s what the ‘US-Killer-Elite’ with their Puppet Trump want to steel (Looting) from Venezuela. ‘Haatzaai& Genocide-Dictators’ a La Trump oogsten stormen,oorlogen,armoede en miljoenen doden kinderen en dieren(Video). Jaja, dit verklaart een hoop. Venezuela wordt gewoon taxfree leeggeroofd. Of er hackers aan het werk zijn geweest, of dat executives een zwart bandje om de thumbnails van de Youtube videos wilden hebben, het lijkt er toch echt veel op dat, in navolging van de WaPo, nu ook Youtube in standje rouw is gegaan. Real video is de vervanger voor You tube aan het worden? De oliereserve van Venezuela bedraagt ca. 300 miljard vaten. D.w.z. deze vertegenwoordigt een waarde groter dan de hele staatsschuld van de USA. Alles is voor Bassie, zullen we maar zeggen. De labbekakken in Venezuela moeten dus niet zeuren. En er zijn ook nog overvolle goudmijnen. Ja de roofkapitalisten zullen nog van alles proberen om het land leeg te plunderen.